A few months ago I shared my nursery inspiration board and now that Will has arrived it’s time to share the finished room! 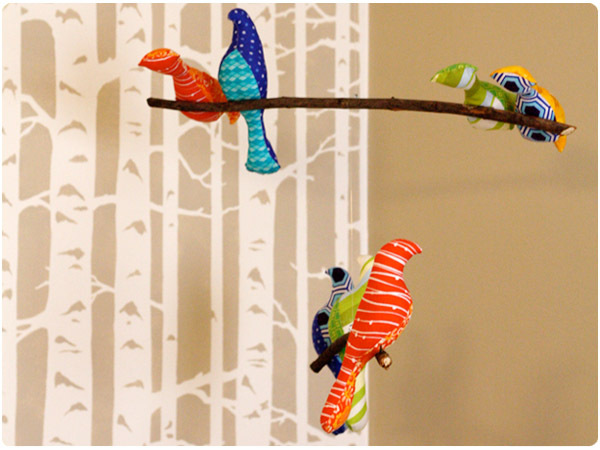 Since outdoor activities are a certain part of Will’s future, I stuck to my original plan of incorporating woodsy elements in a way that both my husband and I would love. 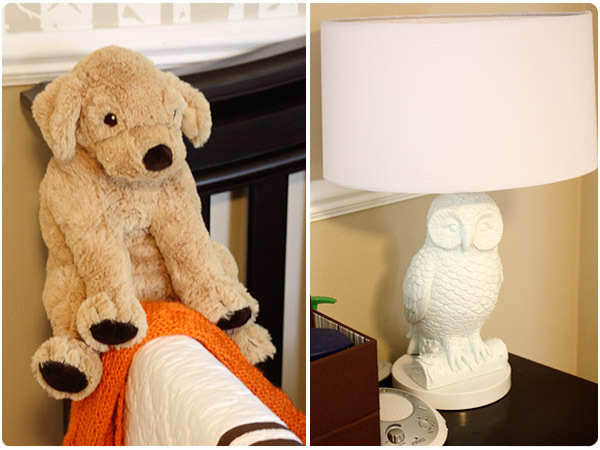 Neutral base colors offset by lots of bright accents around the room helped achieve the calm yet whimsical feel we were going for. 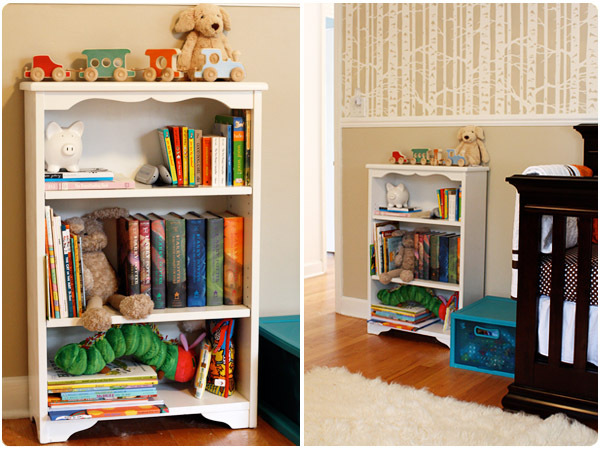 I updated an old bookcase with white paint to hold Will’s toys and many children’s books. Additional toys are stashed in a brightly colored plastic container to prevent the pooch from chewing on them. A fluffy flokati rug softens up the heavy furniture and adds cushion to the hardwood floors for playing. 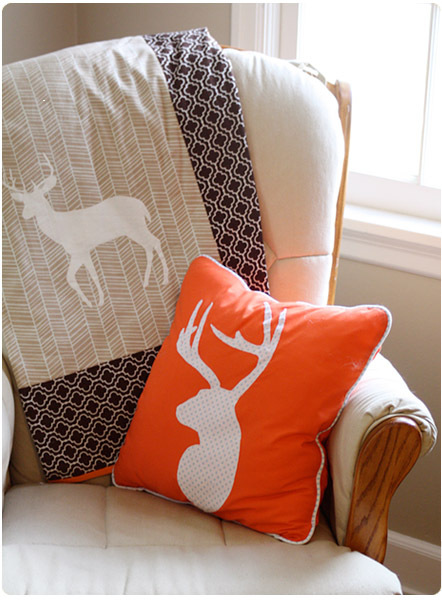 My favorite part about the room are the many accent pieces that were handmade by family, friends or myself, such as these deer blankets and pillows. Using silhouettes paired with glossy white pieces, like the antler mount or owl lamp, make the outdoorsy elements feel more modern than hunting lodge. 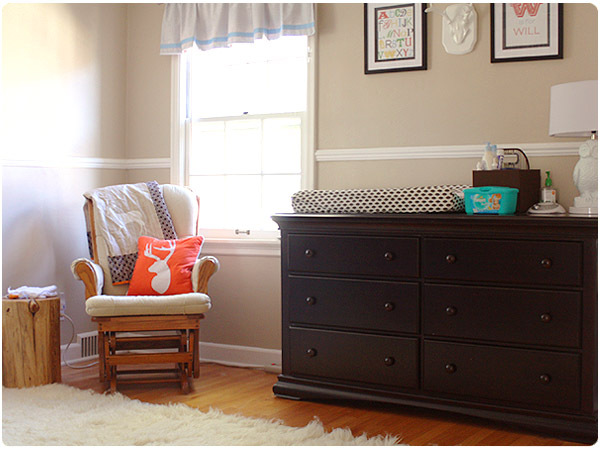 Now that summer is approaching, I’ve realized it’s time almost time to get my nursery in gear! We know we’re having a little boy so we want the room to lean more masculine but I knew right away that themes like sports or trucks weren’t really for us. 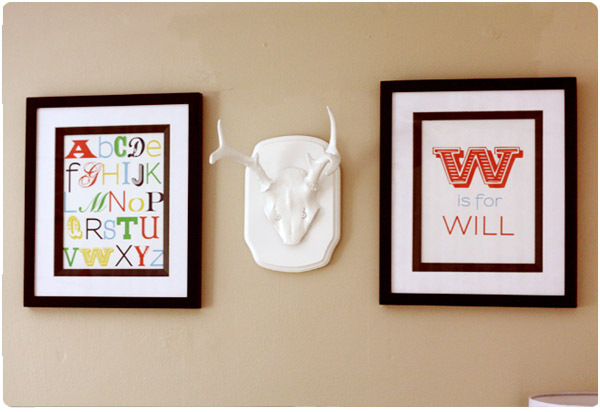 Knowing that this kid will probably spend tons of time outside, I’ve been trying to put together ideas for a room that my outdoorsy husband will love too…without it turning into a Cabela’s catalog. I want it to feel soothing but bright and whimsical but not too “baby”. Tada! 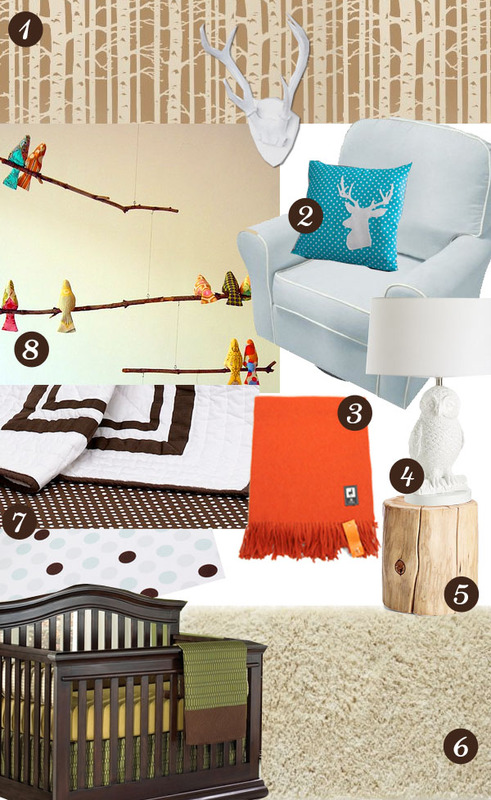 Here’s my inspiration board for our modern woodland nursery. I haven’t quite sorted out all the details yet but it’s giving me a long shopping list and multiple DIY projects to get started on!